Today I'd like to introduce you to the Etsy shop Sewing Granny, run by lovable Mona, one of the dedicated team leaders of our Promotional Frenzy team on Etsy. Please take some time to get to know her and to shop her store! 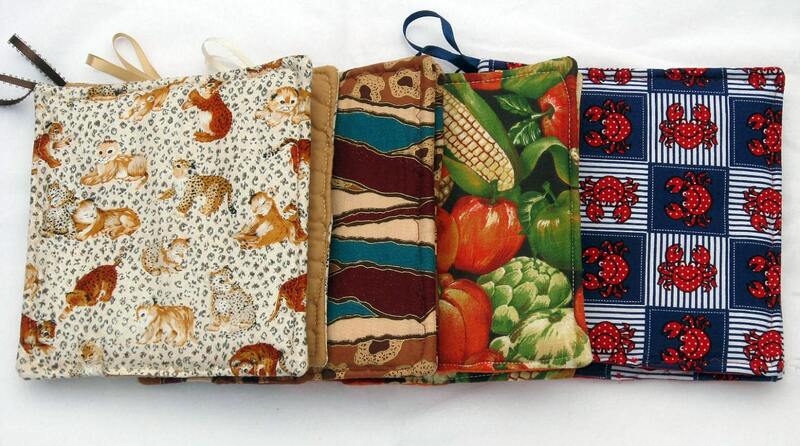 I love to quilt but as it takes alot of time to make a quilt, I sew lots of other items to sell. 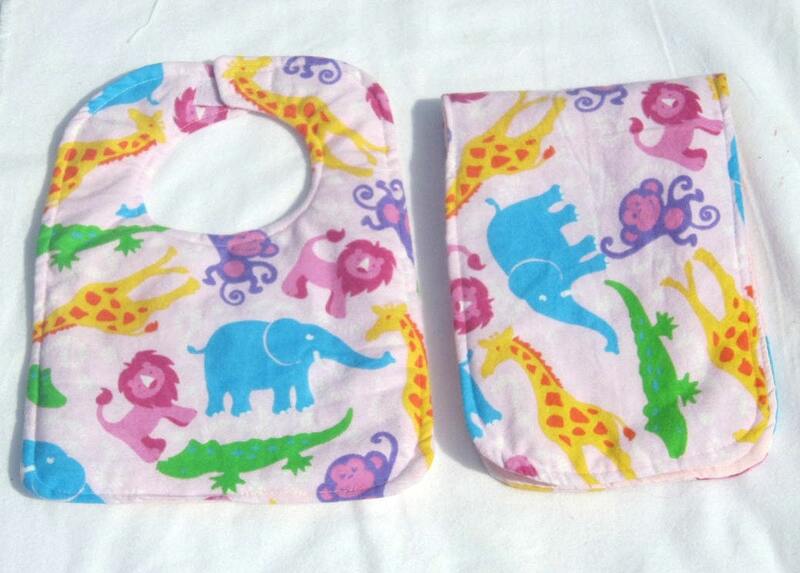 My baby bibs are a big seller as are my potholders. Lately I have started making infinity scarfs. A pretty piece of fabric is all I need for inspiration! Seeing something I like and want to make gets my creative juices going. My biggest master piece was a quilt I made for myself... and sorry I do not have a picture of it. I made it for my bedroom but by the time I finished it I had changed my decor so it sits in a sealed bag - hoping I change my color scheme again some day. I spent alot of time sewing and lately more on the internet trying to get connected to the online venues. But other than that my time is spent with my grandsons... they live close and I love to spend as much time as possible with them. When I get on a creative roll... I can sew for hours but I need to be in that head space or I might as well give it up.... no fun tearing out seams. I just love candles. Even before I began making and selling them, I've been attracted to the warmth and fragrance they bring into a home, even when not lit. 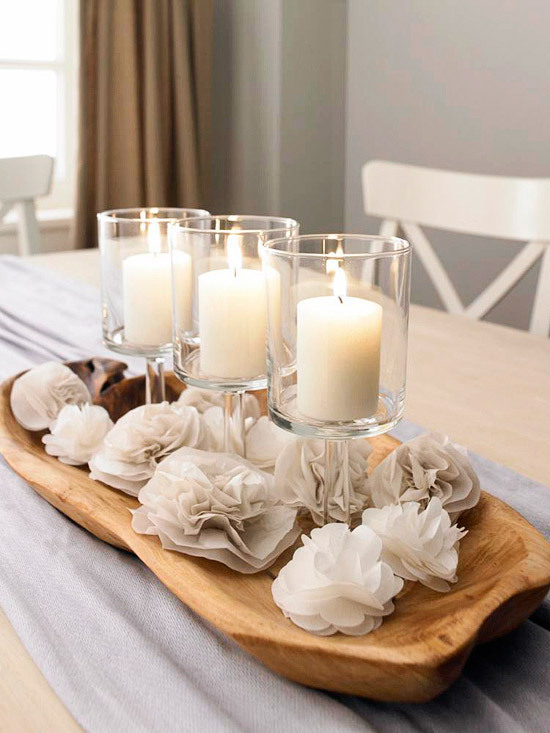 Simple decorations made from candles and other household items can make classic table displays. Invert goblets over your favorite flower and place a pillar on top. For a shabby chic look, add a wooden cracker tray and add tissue flowers. For a romantic look, place tea lights in a votive holder with rose petals. Be sure to sprinkle rose petals over the table. While this is a festive look for the holidays, adding ribbon to clustered pillars can create a colorful look anytime. 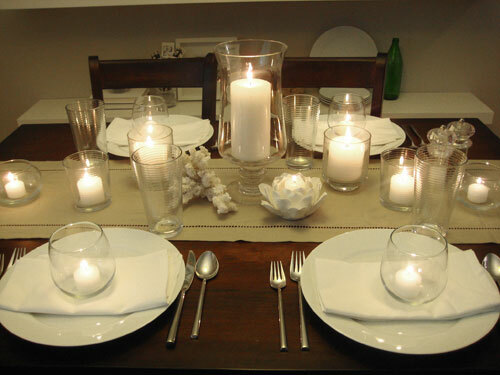 Place tea lights in votive cups atop a napkin and dinner plate. These simply classic designs make me want to clear off my dining room table and begin decorating right away! I hope you're equally inspired. 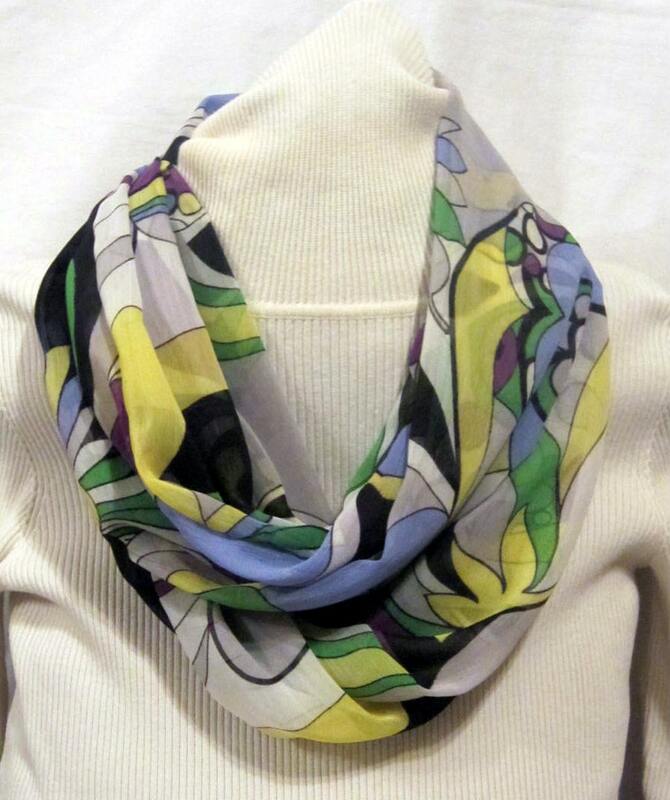 Go to my online Etsy store and find the product you like. Copy the link from your web browser. Go to my Facebook page and share the link on my wall. If you're so inclined, write a comment or two on why you like it. It really is that easy! Here's the contest piece: Every month I will draw the name of one fan who has posted a picture to my Facebook wall. 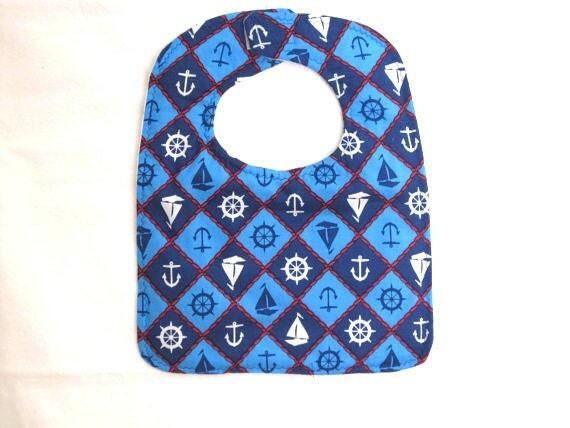 That lucky winner will receive a coupon for 15% off your next order, which can include sales and clearance items. Post as many items as you like, there are no entry limits. Thanks again for all of your support. I look forward to seeing your favorites! 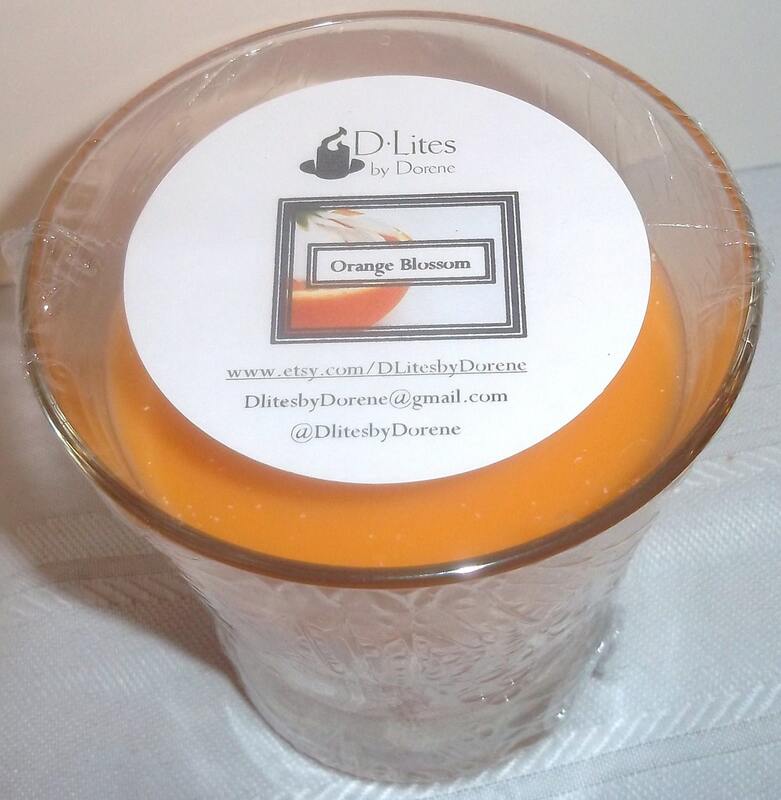 I'm excited to announce the April Fragrance of the Month is.....ORANGE BLOSSOM! I'm always trying to search for fragrances that are unique, memorable, yet .....comfortable. 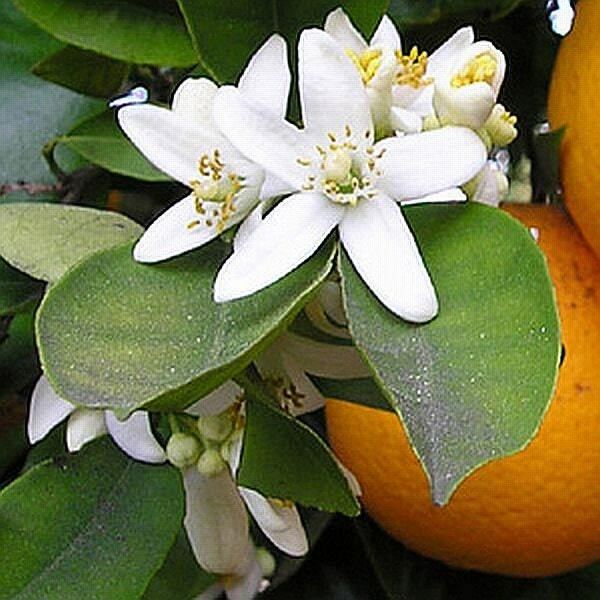 Orange Blossom is one of those fragrances. 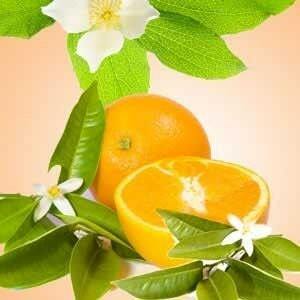 Top notes of the fragrance feature the floral jasmine, with strong bottom notes of fresh squeezed orange. 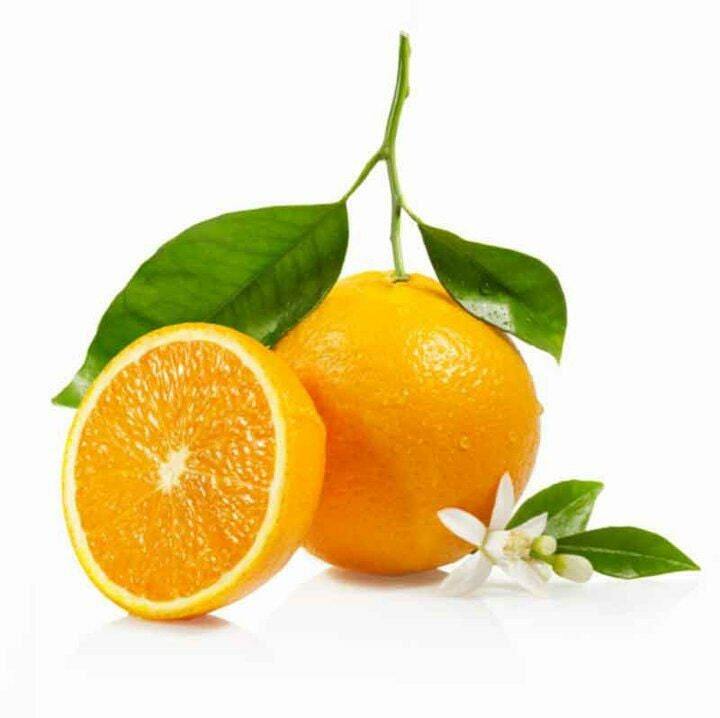 All in all, there is a strong core of clean citrus and an overall scent of complete femininity. My inspiration for this fragrance was two fold. First, I wanted to feature a unique, floral fragrance for spring. And while my list of spring fragrances are lovely, I wanted something not quite so predictable. 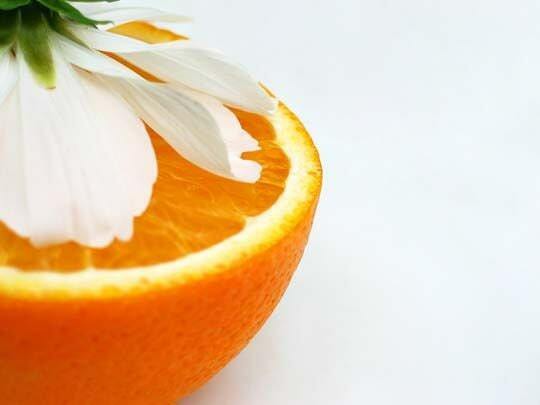 Second, according to the Perfumer and Flavorist magazine, Orange Flower is one of the top 10 fragrance notes for 2012. I was on my way! and room and linen spray. 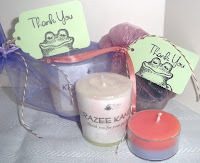 Items soon to be listed on my Etsy site include hand and body lotion, hand and foot balm, body spray, and body wash. Please send me a convo or an email if you don't see an item you'd like. 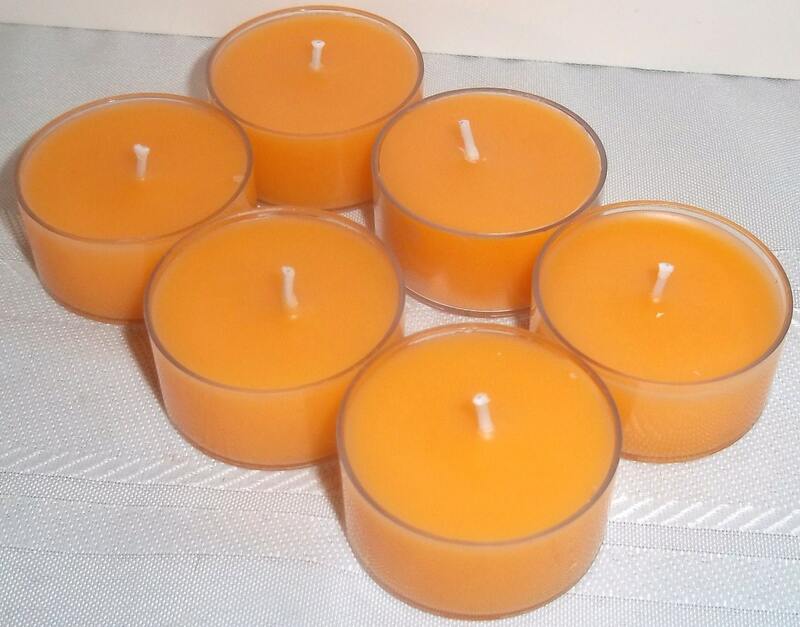 All Orange Blossom products are 10% off throughout the month of April. As a side note, I'm a member of a wonderful team on Etsy, the Promotional Frenzy team. We have a new blog that we'd love you to view and follow. When you follow, tell 'em Dorene sent you!